El Vino Connoisseur's Blend 16yo (40.0%): A lot of the famous blended whisky brands got started by neighborhood grocers or wine merchants in nineteenth century. After their worldwide success most of them left their shops and became industry giants but there are still some old traditional shops in London operating like in old days. They buy casks, blend their own whiskies and sell them in their shops like Milroy's of Soho I talked about in my earlier post below. 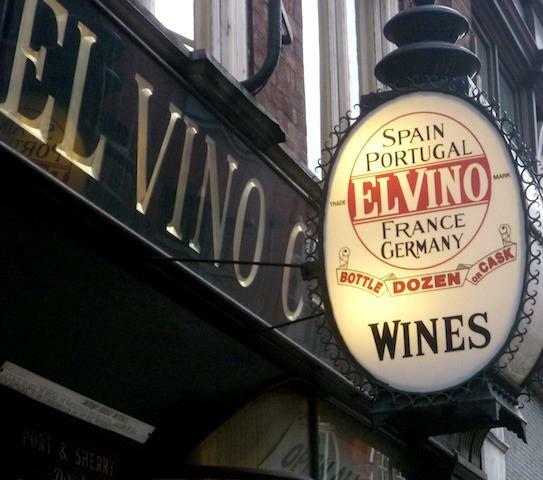 El Vino Co. Ltd. is also one of them. It is a 133 years old enterprise having only five locations in London. Actually they are specialized in imported fine wines from all over the world but they bottle their own blended, single malt and single grain whiskies, brandies and sherry and port expressions as well. This blend is a 16 years old expression and it's matured in El Vino's own sherry casks according to its label. The label also say that the youngest whisky in the blend is filled on November 9th, 1992 and app. 50% of the blend is pure malt. Color: Glittering coppery dark amber with a warm orange hue. Nose: Butterscotch cookies dough, orange vanilla pound cake batter. Crystallized honey and candied orange peel. Interesting ice wine aromas pop up when the nose starts to fade out. Palate: Cointreau, Terry's Chocolate Orange, orange blossom honey and grape juice. Late harvest dessert wine... It's a sweet, nice tasting and extremely easy-drinking whisky but pretty much one-dimensional. Finish: Weak spicy notes at the finish helping to add some extra stuff to the mix: mild white pepper, cloves and turmeric. Overall: Oddly enough this sweet blend tastes more like a watered down aged grape brandy than a whisky. No doubt that it tastes nice but I think it is also at the border of being a little bit boring. If you are in an easy mood you might end up finishing the whole bottle in front of your TV but if you are looking for something interesting or a little sophisticated you probably should choose something else. On the other hand I have to say that it is a great bargain for £16.95.